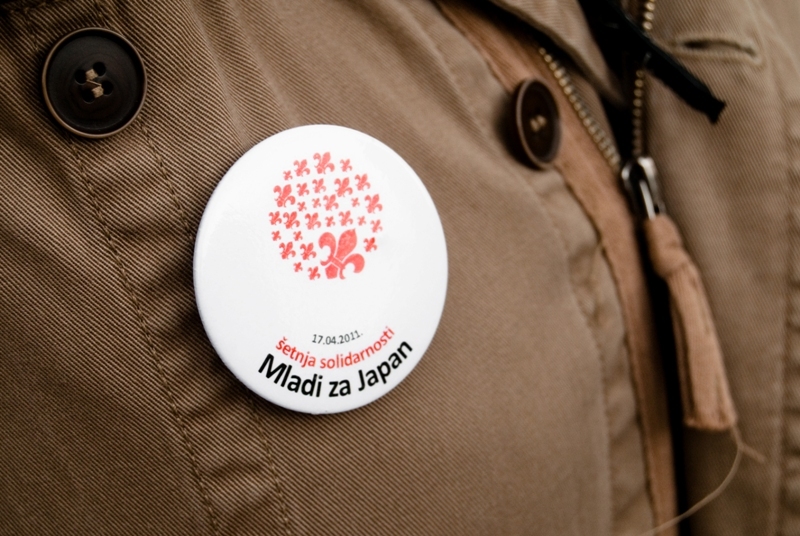 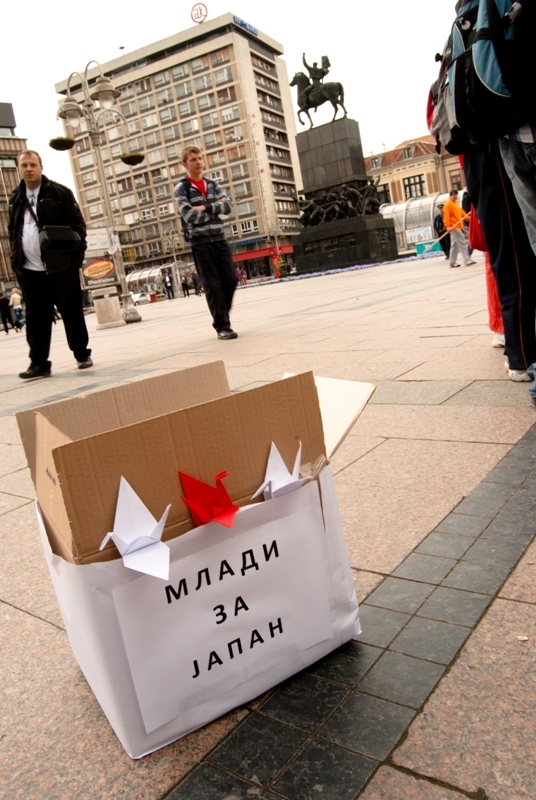 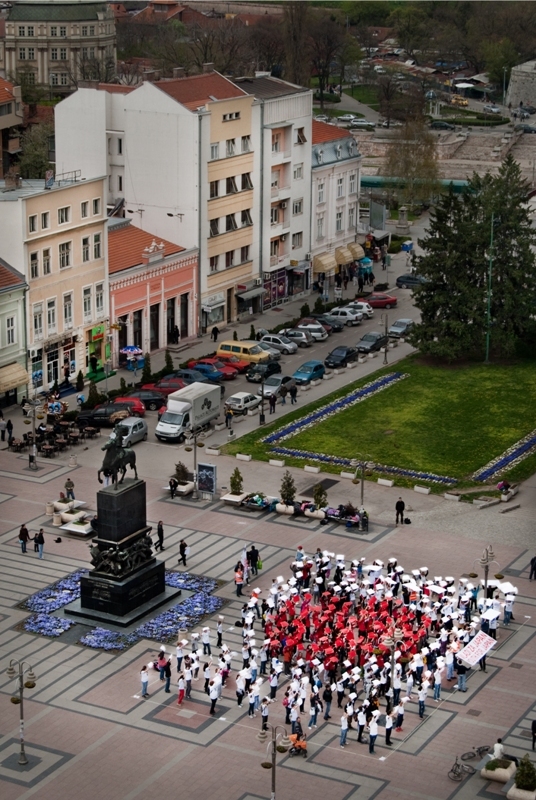 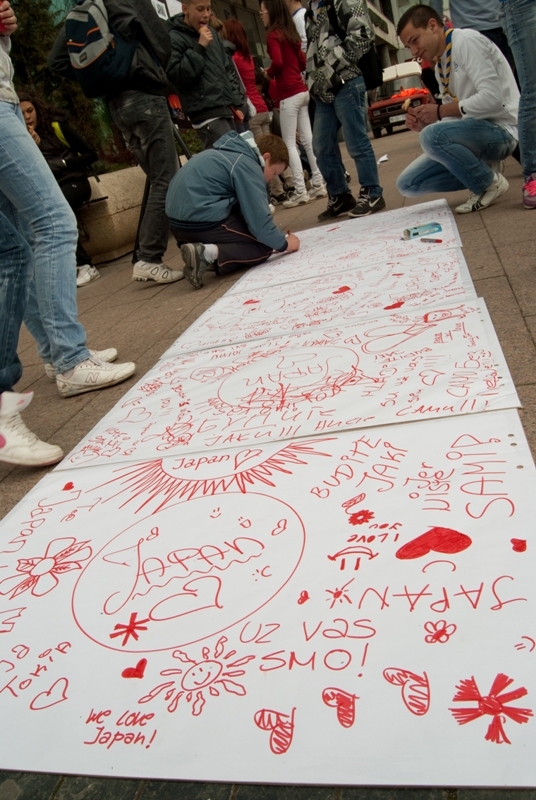 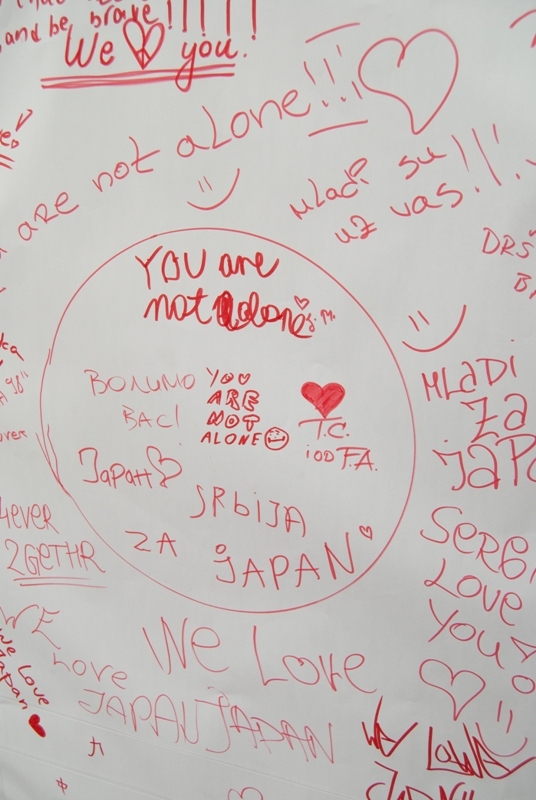 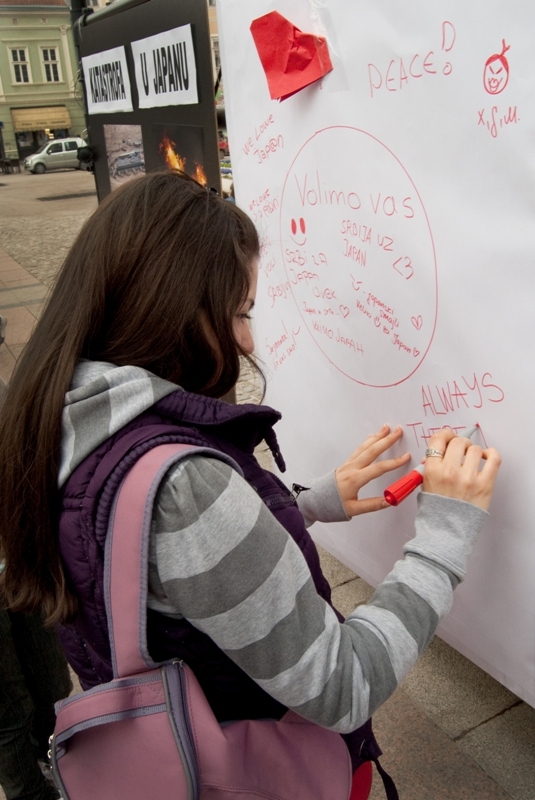 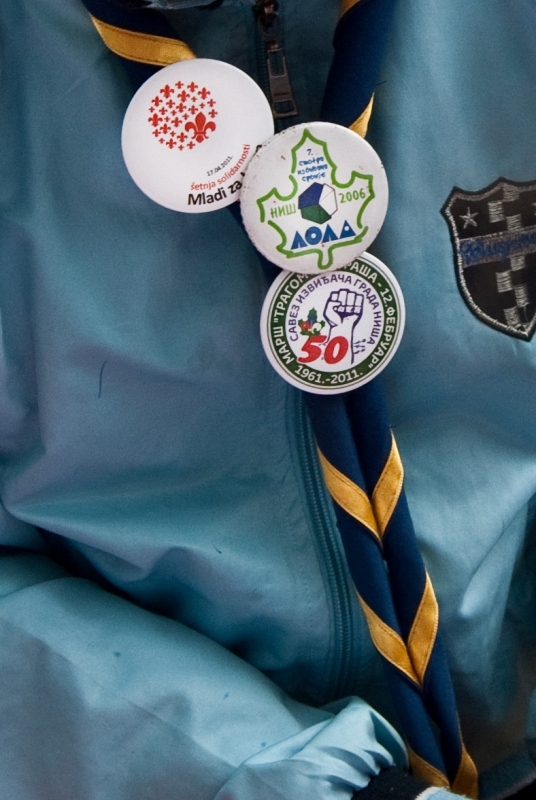 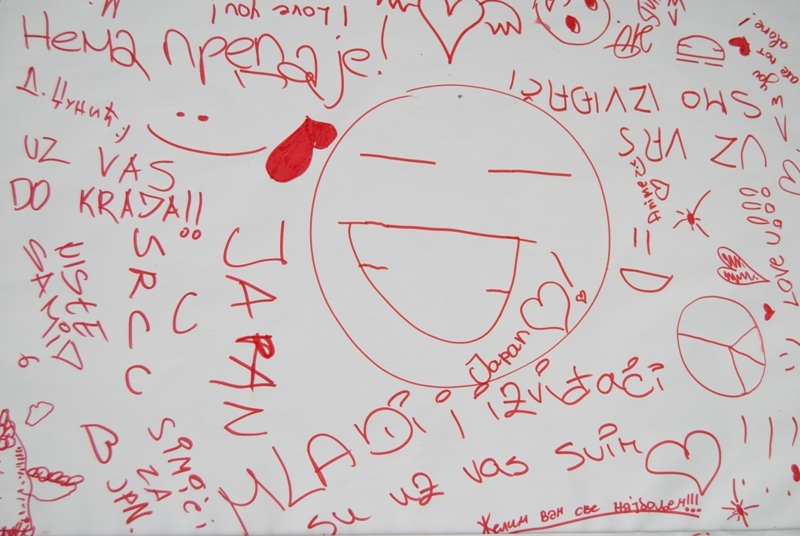 Youth from Ni?, Serbia's third-largest city, gather in the main square to give support to the Japanese people. 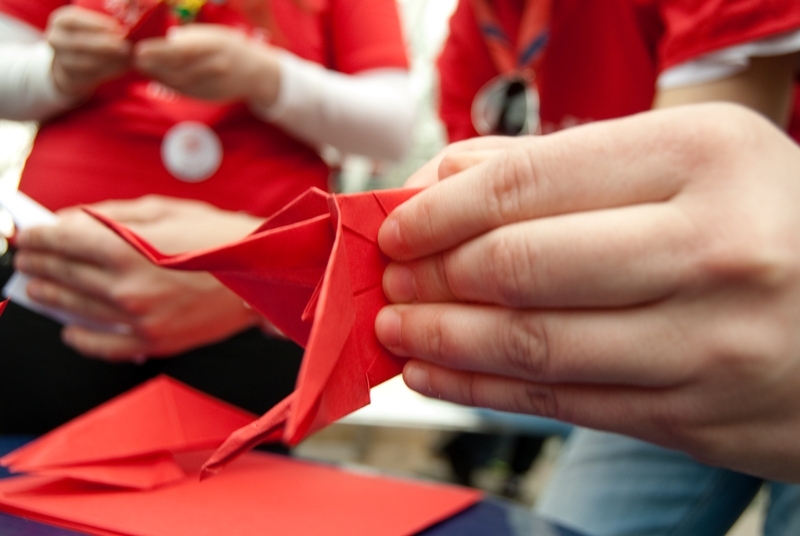 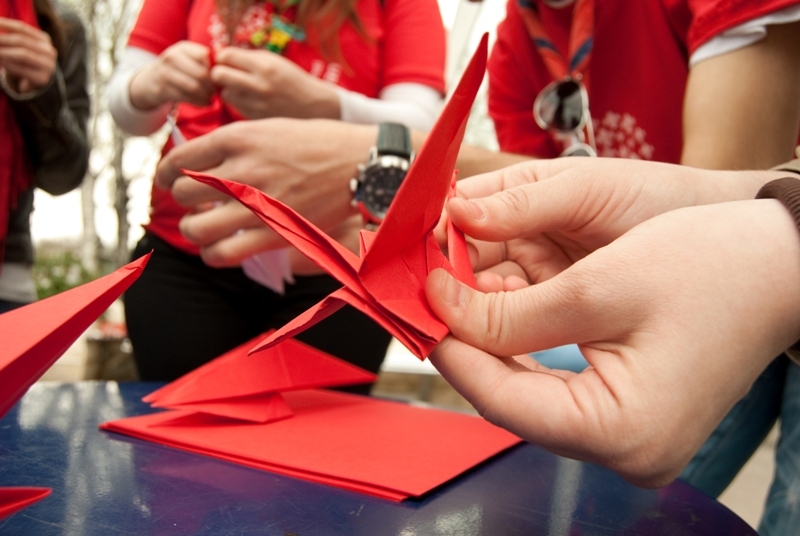 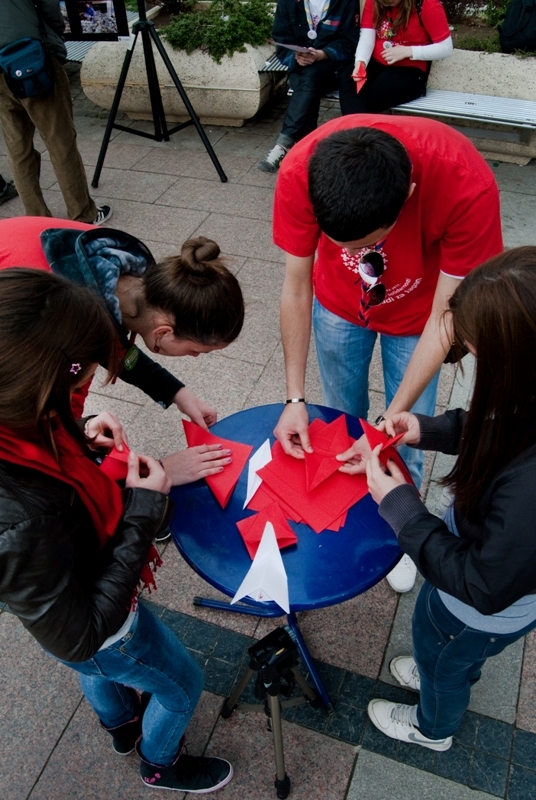 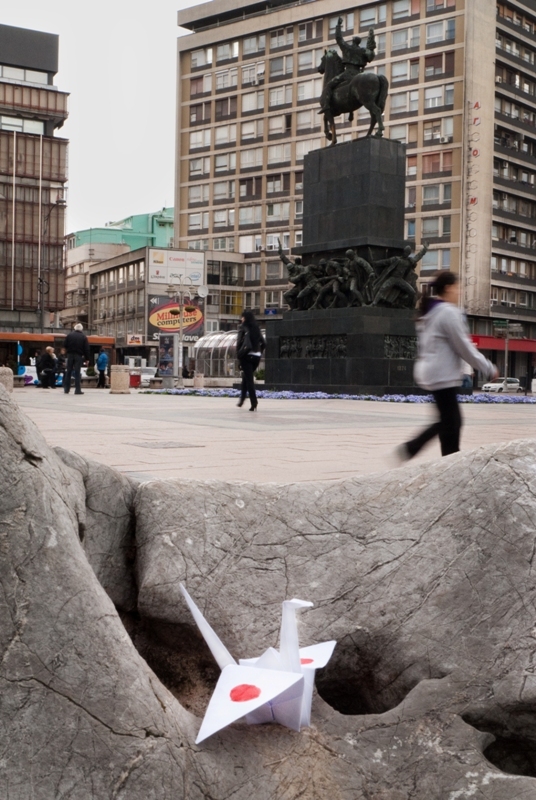 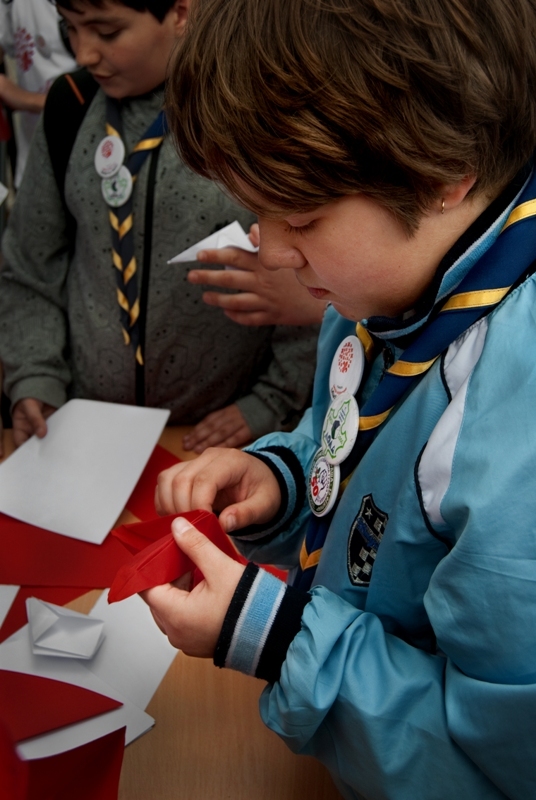 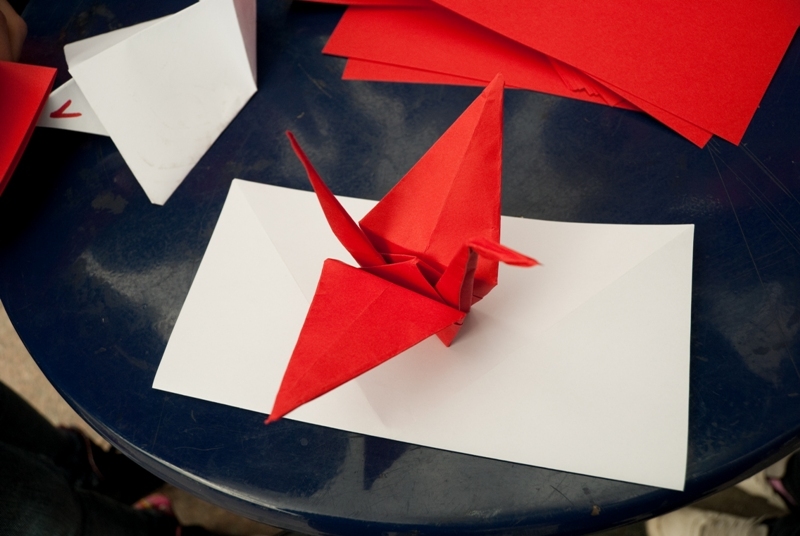 Making the cranes of red and white paper and forming a Japanese flag on the square. 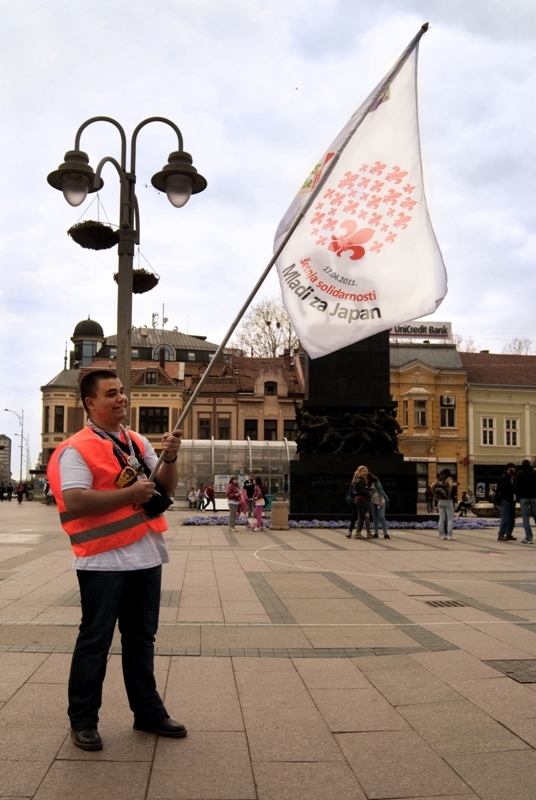 The youth from Nis want to give moral support to the efforts of Japan people in recovering from Tsunami and earthquakes that hit Nth Japan March 11th 2011.